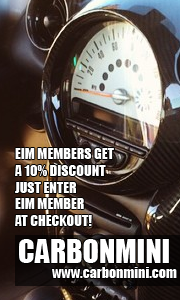 The first half of August 2017 has been an incredible, historic, and enjoyable time for our MINI enthusiasts in EIM, with active participation in four separate motoring events spread out over 1,500 miles! MINI on the Mack 2017 was the third iteration of this massive gathering in St. Ignace, MI. 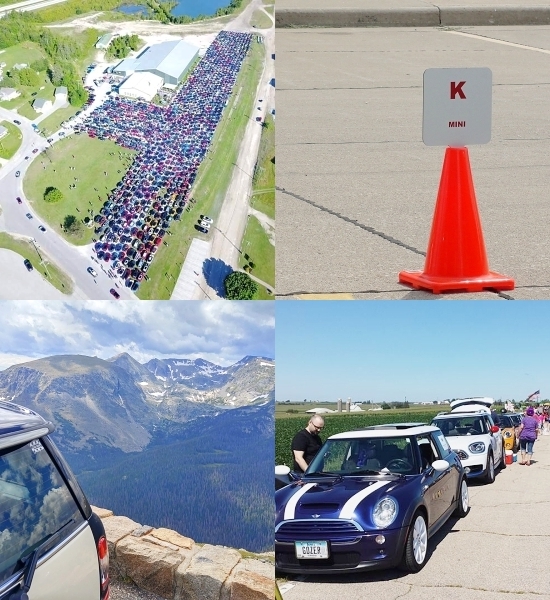 The event held on August 5th set a record for the largest gathering of MINIs on U.S. soil (1,328) and helped raised thousands of dollars for local charities. Our EIM motorists in attendance thoroughly enjoyed representing us in this event and exploring the Upper Peninsula. The annual Heartland British Autofest, hosted by the Quad Cities British Auto Club on August 5th in Le Claire, included multiple EIM entries. Our club managed to walk away with top honors in the Mini class. Lots of other EIMers came out to support the participants, including several who were actually starting their transits to Colorado for the following week’s MINI activities! 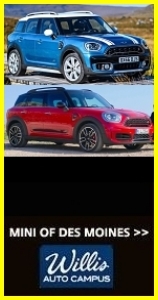 That Colorado event was in fact MINIs in the Mountains 2017, hosted by the Denver-based MINI5280 Club from August 9th – 15th and held this year in beautiful Steamboat Springs, CO. After a five-year hiatus, no less than 12 MINIs and 22 motorists from EIM made the trip out west in order to enjoy the wonderful mountain scenery and superb motoring roads. Several folks enjoyed extended vacations and traveled to points of interest all across the area. It was another fun and memorable adventure for our group with a great bunch of MINI friends. Last but certainly not least, EIM honored its annual commitment to the Holy Cross Parade and Festival in Holy Cross, taking place this year on August 12th. Our parade participants enjoyed fabulous weather, another phenomenal post-parade meal, and the other Festival amenities (not to mention all of the great roads getting to and from the area). Thanks to everyone who came out and supported this event! Special thanks to Linda and Tom R. for their gracious hosting of our group in Holy Cross (as they do each year), including the coordination and the always appreciated broasted chicken and home brew. Their generosity is deeply appreciated by all. Thanks also to EIMers Peggy J., Steve M., and Alyce and Bill S. for the group’s use of Wyndham time shares in Steamboat Springs. 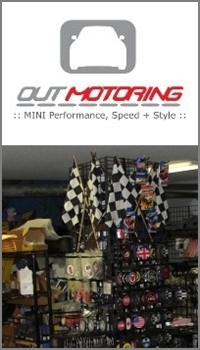 It’s always fun when our motorists are able to colocate and have a base of operations to plan, socialize, and reminisce. Thanks also to everyone who brought and purchased food and drink and helped prepare meals at the lodge (Alyce, those breakfast sandwiches were the best!). Thanks to Jeff and Sue N. for all of the fantastic drone footage out in Colorado. The drone logistics are no small feat and our group greatly appreciates the fruits of your labor. We’ll continue to features these videos on our homepage over the coming months. A special nod to Brian and Tracy K., who participated in both MINI on the Mack and MINIs in the Mountains. Over 4K miles of motoring fun in their Roadster in less than two weeks (and a lot of it top-down)! Lastly, thanks to all of the EIM folk who came out and supported these events. Your MINI enthusiasm is infectious and we are always grateful for your friendship and camaraderie.